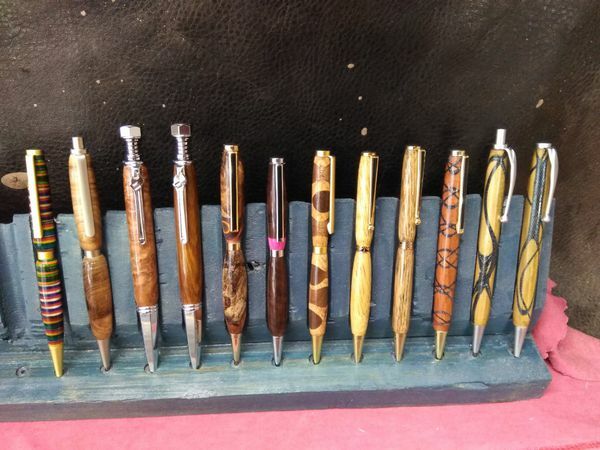 Mike's Wood Pens are hand crafted pieces of art. These writing pens will give an extra touch of class to any desk or office. The following picture is a link that will take you to a list of Mike's pens currently for sale on Ebay. Please check them out.